July 20, 2016, Schnecksville, PA – Lehigh Valley Zoo is excited to announce the grand opening of its new turtle pond on Saturday, July 23rd at 10:30 am. The Zoo’s newest exhibit is a self-supporting pond where guests can view four Western pond turtles as well as other potential inhabitants such as frogs, toads, snails, and dragonflies. Various aquatic and wetland plants help create a complete ecosystem in and surrounding the pond area. Western pond turtles are an endangered species and one of the initial four species chosen by the AZA (Association of Zoos and Aquariums) for the SAFE Program (Saving Animals from Extinction). Major threats to this turtle species include habitat loss, predation, and disease. 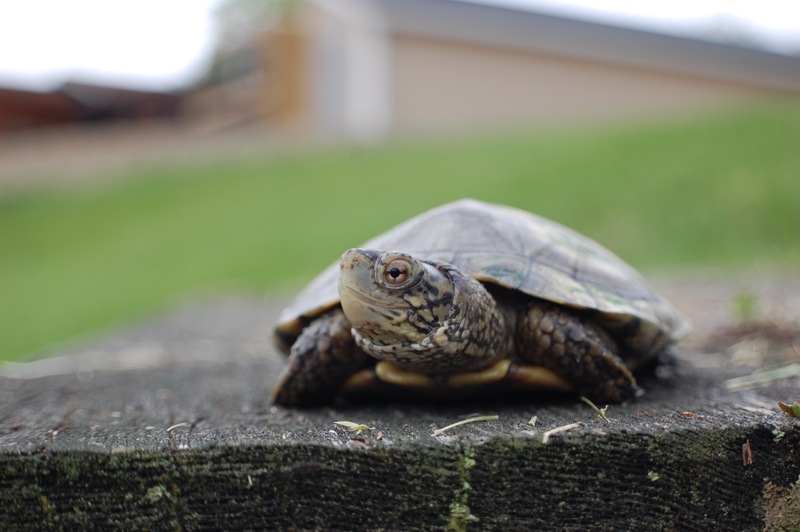 According to AZA, over $600,000 has been invested into Western pond turtle conservation to date, and within that timeframe nine AZA-accredited zoos and aquariums participated in a variety of field conservation projects benefiting these turtles. Zoo guests are invited to stop by the turtle pond on Saturday to see the newest additions to the Zoo family. The Zoo plans to add additional native turtle species to the pond in the future. As a member-supported non-profit organization, Lehigh Valley Zoological Society was founded in 2004, but as a treasured community landmark, the Zoo’s history spans over a century. Founded in 1906 by General Harry C. Trexler, a local industrialist, the Lehigh Valley’s Trexler Game Preserve has educated and entertained more than five million people. Accredited by the Association of Zoos and Aquariums (AZA), the Lehigh Valley Zoo hosts year-round, family-friendly events and activities, educational programs, and camps. With a mission to create a safe, engaging and enlightening wildlife experience for guests of all ages, the Zoo demonstrates leadership in the cultural, scientific and conservation communities. To learn more about Lehigh Valley Zoo, we invite you to visit our website, www.lvzoo.org, or follow us on Facebook.